Kan Can brand with super cute fading and distressing! We recommend sizing up in this style as they have little stretch! These jeans are amazing. The distressing is perfect and they fit great. They have little stretch, but not a whole lot. I couldn't be more happy!! New to Kan Kans and I'm obsessed! 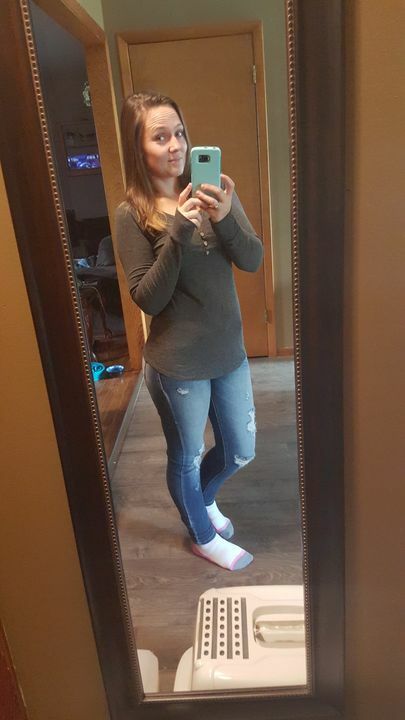 I've lost a ton of weight in the past year so I'm really picky with buying new jeans and how they fit and I LOVE the way these fit. I ordered another pair (the Morgan wash) and they're even better! I seriously have a shopping problem at Pulse lol I do wish that they had more of my size in more of the jeans. Usually by the time I get to the new arrivals my size is already sold out. That'd be my only gripe. I work rotating shifts at work so it's hard to catch them as they're posted. Still won't stop me from shopping though!